Get more for your money at the Quality Inn Grand Rapids North hotel in Walker, MI. Located off I-96, we are just 10 minutes from downtown Grand Rapids and 20 minutes from the Gerald R. Ford International Airport. As a corporate traveler, you will appreciate our convenient copy and fax services and free WiFi. Additional amenities include free hot breakfast, an indoor pool and exercise room. 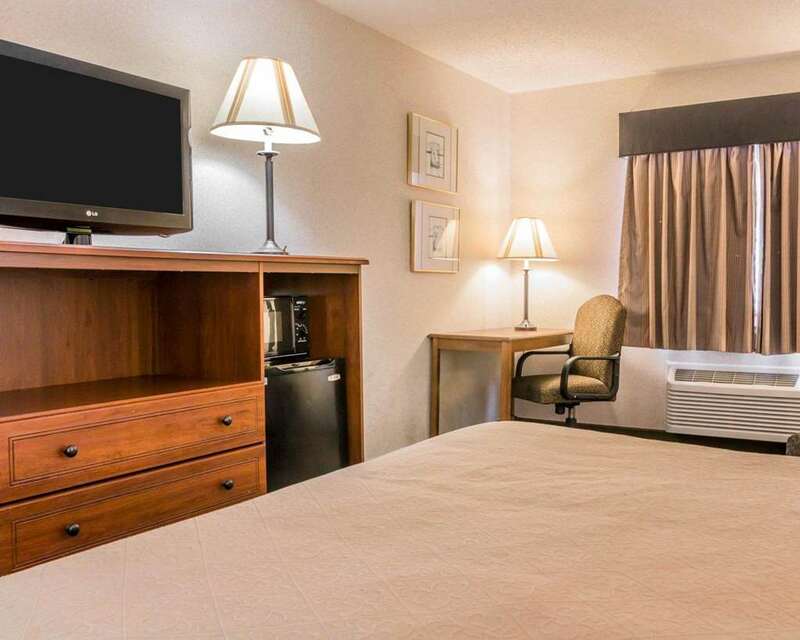 Relax or work in your comfortable guestroom featuring a TV, coffee maker, hair dryer, work desk, iron, ironing board and safe. Select rooms include refrigerators and microwaves. Also, earn rewards including free nights and gift cards with our Choice Privileges Rewards program.